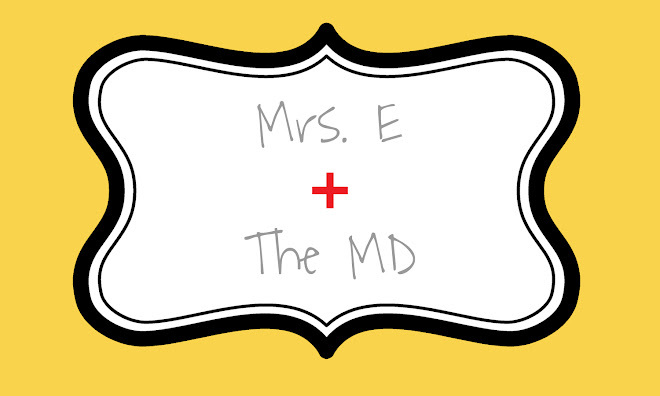 Mrs. E and the MD: How do you know you're healed? I have been thinking a lot about this lately...about how far I (we) have come...how far I have yet to go...how far this journey has taken me...how far away from my former thoughts I feel. I can't help it...but when I think about it now, somehow I feel calm. I almost feel happy for the time I spent in ignorant bliss...the excitement I felt for 10 weeks. I am thankful...because no matter what happens in this life, I know that for a short while I had my own slice of sweet Heaven...something a large percentage of women never get a chance to have. I keep thinking about what Elizabeth told me several weeks ago when I was feeling jealous of some women in my life who announced pregnancies....and she said, "The Lord will provide for you." Such a profound, simple statement to make...it has been said many times before...but it provided me with such peace on the subject...and I really do feel it to be true. If we all could just remember that....that all we need and want in this life will be given to us if we just follow the path that was made for us...if we listen to ourselves, to God, and to each other...and if we live our days with confidence. Why worry? This sounds funny coming from me. I worry about robbers and snakes and worms and getting fired and getting in a car accident and the health of my parents and my friends' personal lives...these are all evidence of my many imperfections...and my many issues that still need work...but when it comes to my future with Luke and our futures as parents...I feel it in my bones that all will be well....we will be OK....we will be blessed beyond measure. We truly already are. When I think of all we have...beautiful home, new-ish cars, nearly perfect health, loving family, outstanding friendships....when I think of all we have done....vacations, college degrees, dream jobs, medical school....I nearly laugh at myself for being so ungrateful at times and so wishful for someone else's life. BUT...this feeling I have...feels good.